Works best in Internet Explorer 11, Chrome, and FireFox. Howard County has a strong commitment to address stormwater runoff problems, yet there is a still great deal of work to be done; and it will take all of us working together to reach our water quality goals. 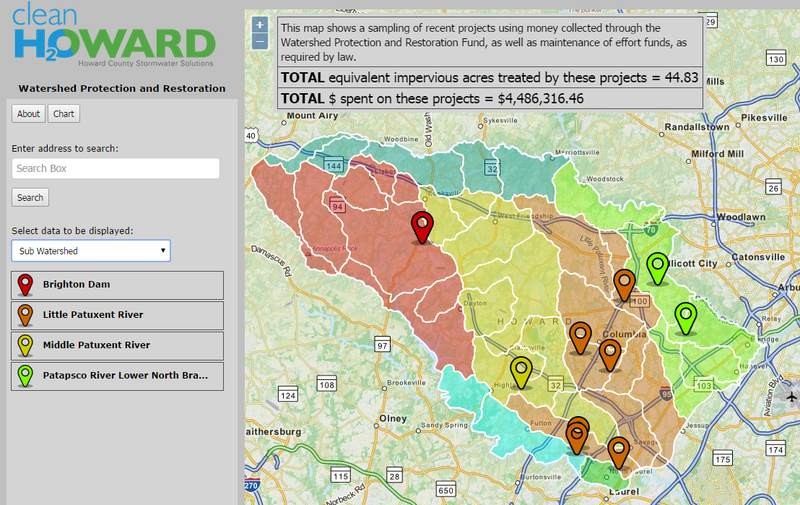 This map shows a sampling of recent projects installed using money collected through the Watershed Protection and Restoration Fund, as well as maintenance of effort funds, as required by law. As more projects are designed, completed, and data is gathered, they will be added to the map so be sure to check back periodically. 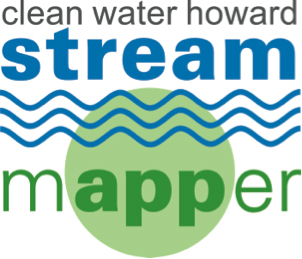 The stream mAPPer is a smart phone app that allows you to monitor streams in Howard County. By bringing together nature and technology, using the app is a great way to get outdoors and help your local government learn about local stream health. The stream mAPPer is easy to use. You are prompted to upload photos and some basic information about a local stream of your choice. The user enters data about: land use, streamside plants, bank cover, stream width, bank height, bank shape, blockages, trash, invasive plants, sedimentation, exposed utilities, and any unusual conditions. Although these are certainly not the only indicators of stream health, they give a good overview and are easy to do with minimal tools and training. Download the app here. If you are interested in being trained as an official mAPPer, please contact Julie Costantino at jcostantino@howardcountymd.gov. Find the nearest stream to your home, work, or school by entering the address in the mapping tool. Also, learn which watershed you are in. Then start exploring! For a non-residential/commercial prop­erty, enter the prop­erty address in this mapping tool to view the impervious area on a property determined via aerial photography and the related Watershed Protection Fee. All non-residential/commercial prop­er­ties will be assessed a fee of $15 for every 500 square feet of imper­vi­ous area on a par­cel. For the pur­pose of this fee, imper­vi­ous area is defined as rooftops, dri­ve­ways, park­ing areas, and pri­vate roads (including compact gravel areas). More details about the Watershed Protection Fee for non-residential / commercial property can be found here.